There’s something about dumplings that gets us every time. The crispy skin, the sizzling heat, the delectable fillings…we can’t pick just one reason alone. 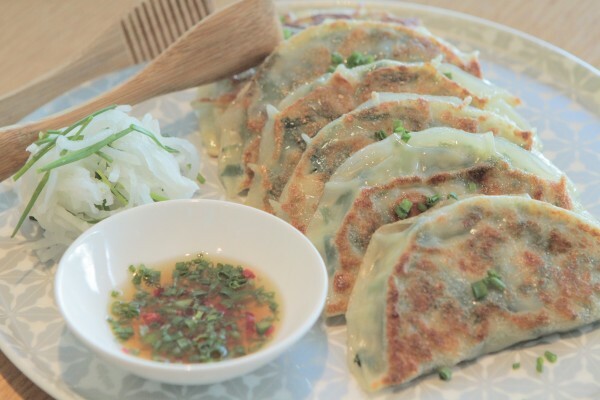 Korean dumplings, called mandu, have a distinctive and addictive taste all their own. With thinner skin than that of Chinese dumplings and Japanese gyoza, and a variety of ways to eat them, they’re a versatile and essential part of the Korean food repertoire. Historically, they’re thought to have been brought over by the Mongols in the 14th century, proving that mandu have quite the long and storied history. Today, mandu are a common street food, peddled by the carts lining the streets of Korea and sold blisteringly hot and delicious. But they’re also a key ingredient in a variety of more upscale dishes gracing the tables of families at holidays and other special celebrations. They make an appearance steamed in soups, such as tteok guk, a rice cake soup traditionally eaten on New Years Day, and mandu guk, a simple soup of beef broth starring mandu, of course. Any self respecting Korean restaurant will have mandu on the menu, but there’s no replacement for a home-made version. Filling is painstakingly made, usually with ingredients such as beef, tofu, kimchi, scallions, and generous amounts of spices like garlic and ginger. The filling is placed inside the dumpling wrapper, which is then folded over and pleated. It’s fairly straightforward, but not many are willing to toil and embark on marathon dumpling making sessions, so luckily, there are other options. Frozen mandu are easily accessible at Korean groceries like Hmart, and nowadays, even American ones. Equal parts delicious, easy, and nostalgic, they’re a food we turn to time and again. Check out Episode 10, The Noodle and Dumpling Chronicles, to get your mandu fix!